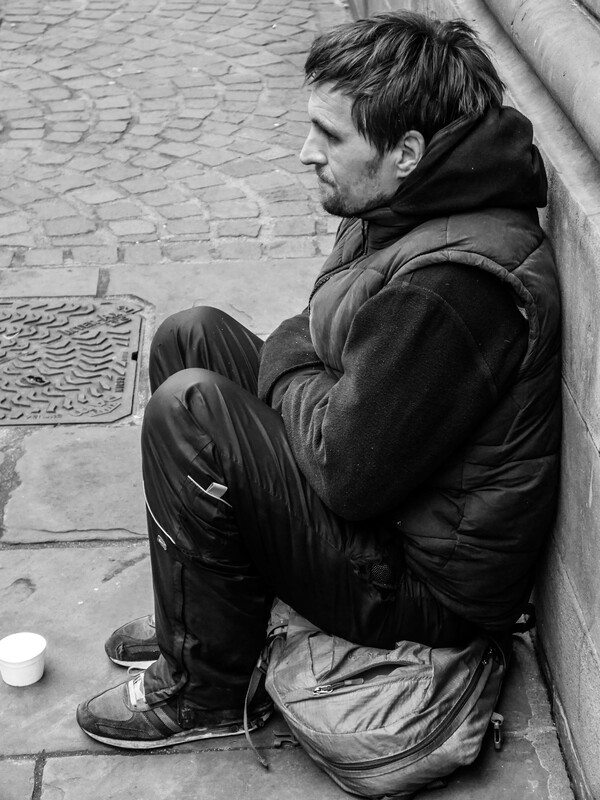 When I spoke with Daniel he told me that he had been homeless for some six weeks – I didn’t say anything but I have noticed that this the time period so many homeless people give. I think it is because they do not want me to feel that they are no-hopers, that they haven’t tried hard enough, that if they tell me they have been on the streets for months I will believe them to be useless. And of course, to tell me would be to tell themselves, over and over again. It breaks my heart. No wonder they say something like that. They’ve gotta do something so their hearts aren’t broken either. I can’t even imagine how tough and dehumanising this must be. That is is exactly and like I said to Chris, there go we. An excellent, soul-capturing shot, Chris, which tells a tragic story. I am drawn to the downtrodden – there’s a hair’s breadth between us. My nickname at work used to be Trotsky. Well, better that than some I can think of. Not too bad at all, I think! This is so sad to see another human-being living like this when there is so much wealth in this world. There is little I can do except spend a little time acknowledging the person, talking to them if they wish to converse and to help with some money for whatever gets them through the night. Many people say that I should buy food etc but how can I dictate to them. Their choices are so limited anyway.